Tighten and Tone in 7 Days! A seven-day workout and diet plan to have you looking and feeling your best! Are you ready to shed those extra pounds, tone up, and feel more confident than ever? I can already notice an increase in strength in the workouts, in only 7 days! I feel like my stomach is flatter (less bloating) and all around I’m feeling “tighter”! My core and legs have tightened and slimmed considerably in just 7 days. More noticeably, though, I am more aware of my body throughout the day and I feel more in control. I was frustrated because I wasn’t making any progress on my “muffin top.” But after completing Tighten & Tone I lost 1” off my waist, feel stronger, more confident and less bloated…all in just 7 days! This program is totally do-able. Takes a balanced approach to getting QUICK and HEALTHY results. While the program is designed to accelerate results, the meals are nourishing, the workouts are safe, and you’ll end each day feeling healthy and strong – not weak and depleted. Uses online Pilates workouts to efficiently increase your muscle tone. No gym, no weights, and no personal trainer necessary. Teaches you how to eat and how to exercise to jumpstart your fitness goals or get back to your healthy habits. A crystal clear, easy-to-follow plan that’s always available when you need it. The structure of the assigned workouts, along with the meal plan provided me the guidelines I needed to really challenge myself. Knowing it was only 7 days really inspired me to stick closely to the entire plan. Not once in the 7 days did I even consider cheating, not once! It has proven to me that I do have strong willpower and can really be successful when I set my mind to it! 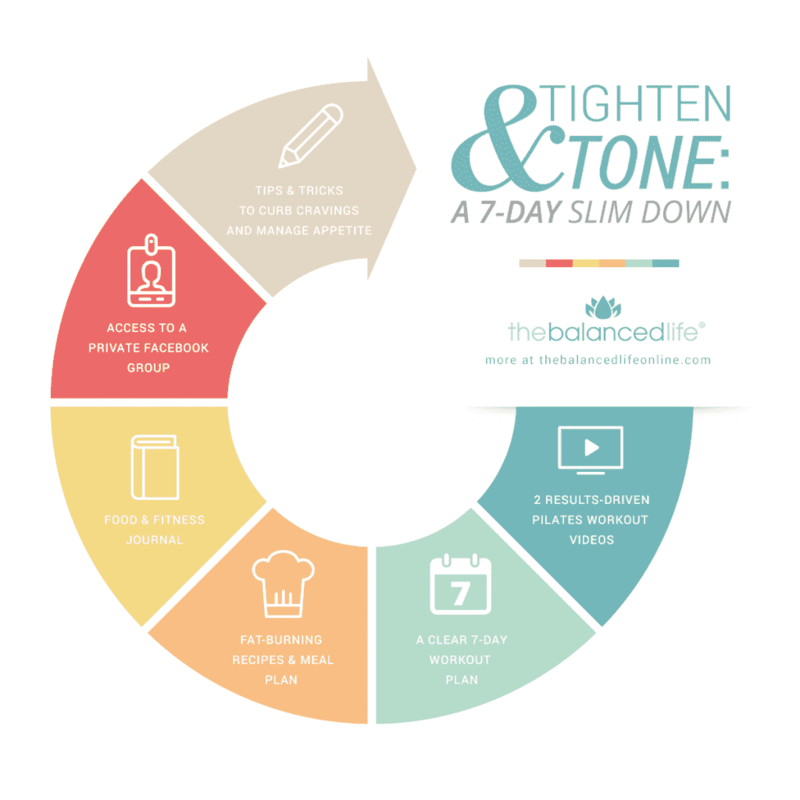 I love that this 7-day program can be turned into a lifestyle. It’s not a starvation program, but one that intends to glean the most important nutrients from food– focusing on food as fuel instead of painting food as the enemy. This program helps you look and feel your best, while still providing your body with what it needs to function well. You’ve tried to lose weight in the past by taking pills, doing a cleanse, spending hours in the gym, or depriving yourself of delicious food – and you don’t want to do that again. You’ve tried to get in shape on your own but didn’t have a clear plan or enough motivation to see it through. You want to have an easy-to-follow plan at your fingertips to tone up, slim down, and gain strength in a short amount of time. Workouts can be done from home on your own time. They’re fully downloadable and yours to keep forever! The workout plan will include 40 minutes of at-home Pilates workouts per day – utilizing the two workouts mentioned above + opportunities to choose your own workout. 20 nourishing & balanced recipes to mix and match throughout the week. The meal plan is strategically designed to help you burn fat, reduce inflammation, and curb cravings. Most recipes are gluten and dairy free, and those that aren’t can be easily modified. A downloadable journal to keep you motivated and on track. This is where you’ll log your stats, track your progress, and celebrate results! Once you purchase Tighten & Tone, you can follow the program any time! The Facebook group is a great place to connect with others for support, accountability, and guidance. I provide all you need to successfully complete this 7-day program. All you have to do is follow along! Feel motivated and inspired to exercise and eat right. Gain strength and improve muscle tone in just 7 days. Feel in control of your health. Reduce bloating so you feel comfortable in your clothes. Sleep better and feel less stressed so you can be your best for others. Reduce your cravings and get a handle on your appetite to lose weight without feeling deprived. *Discount automatically applied for Sisterhood members. Click on a Frequently Asked Question to get the answer. Still have more questions about the program? I’m new to Pilates. Will this plan work for me? All levels are welcome! 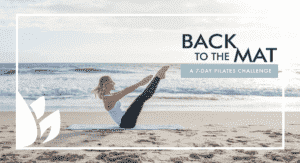 If you’re brand new to Pilates, I do recommend that you go through my free Pilates For Beginners series. Then you’ll be ready to dive in. Feel free to modify as necessary – the workouts are meant to be challenging so you have something to work toward. Does the meal plan accommodate special dietary needs? Most of the recipes are gluten, dairy, and soy free. Those that aren’t can be easily modified fit your needs. While not all of the recipes are vegetarian – there are a handful vegetarian meal and snack options included. Can I really expect to see results in just 7 days? Yes, you can! But it’s important to be realistic. In 7 days you can improve your strength and drop a few pounds so that you feel healthier, stronger, and more confident. But don’t set yourself up for disappointment by expecting to look like the photos in weight-loss pill commercials (those are fake anyway!). 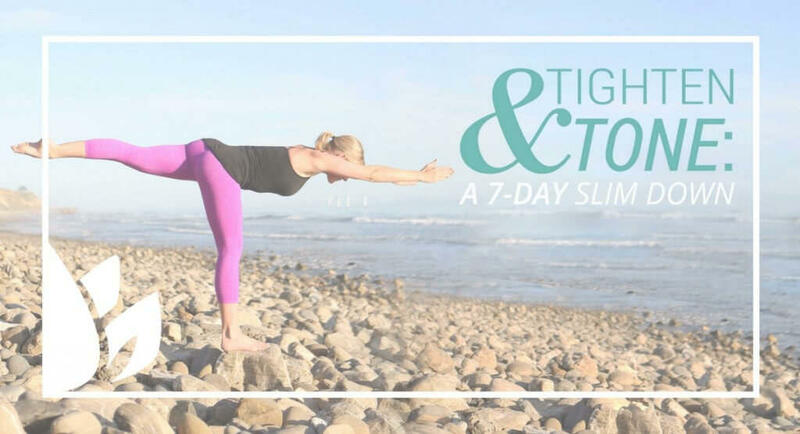 This is a balanced, manageable approach to slimming down and toning up in 7 days. I’m really busy, do you think I’ll be able to keep up with the workout calendar? Absolutely! I’m a Pilates instructor, business owner, and mom of 3-year-old- and 1-year-old, I totally know what it’s like to be busy and have very little spare time. The workouts are 40 minutes and can be done from home which means – no commute, no parking, and no wasted time. You can even break them up into two 20-minute portions if you need to! Also, the best part about Pilates? You don’t have to shower when you’re done! You can dive right back into your busy day feeling healthier, stronger, and more balanced. I have a very poor internet connection, will this be a problem? Not at all! One thing that sets this program apart is that you can download and save the workouts to your own device. So as long as you have internet access one time (maybe at a local coffee shop or library), you can download the workouts and then view them without needing to be connected to the internet. Does this program have a start and end date? Nope. This is a program that you purchase and can use on your own, anytime. You will always have access to the program so when that beach vacation rolls around or your class reunion is just around the corner – you’ll have an easy-to-follow plan at your fingertips. Nope! Just a mat and access to a computer/smart tv to view your workouts. Why would I choose this program over another? I created this program because I was tired of seeing people follow programs that are extreme, unhealthy, and unsustainable. I also believe that you can see incredible results WITHOUT extra supplements, pills, or crazy concoctions. This plan is balanced, nourishing, and realistic. You would choose this program if you want to feel inspired and amazing at the end of the week – not drained, depleted, and broke from paying for fancy supplements. 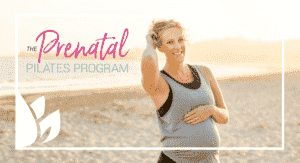 I’m pregnant (or nursing) is this a program for me? The 40-minute Pilates workouts are not prenatal-friendly and would require some modifications. You could certainly purchase the program now and then use it at a later time. The meal plan is full of healthy and balanced snacks and meals that are great, but pregnant and nursing moms should keep in mind that they might need extra calories and snacks throughout the day. Due to the digital nature of this program, all sales are final.